Benchmarks For The 2019 iMacs Reveals How Powerful The New iMac Models Are! Apple fans, especially the iMac fans, were delighted when Apple refreshed its iMac not long ago. The new 2019 iMac comes with faster processors and graphics, pleasing tech enthusiasts. In terms of overall design, there aren’t that many changes. It still sports the familiar design such as thick bezels, the tapered slim design, etc. However, internally, it’s a whole different ball game as they are faster and more powerful compared to their predecessors. Just with the 21.5-inch model alone, buyers can choose from an eighth-generation i3 Intel quad-core processor, an i5 six-core processor, or an i7 six-core processor which supports hyper-threading. And as noted by a report, this is particularly helpful for video creators and editors. On the other hand, the 27-inch version comes with an eighth-generation i5 six-core and an i7 six-core processor. In addition to that, there’s also a ninth-generation i9 eight-core option. As for the price tags, the 21.5-inch iMac comes with a starting price of $1,299. Meanwhile, the larger 27-inch iMac comes starts at $1,799. 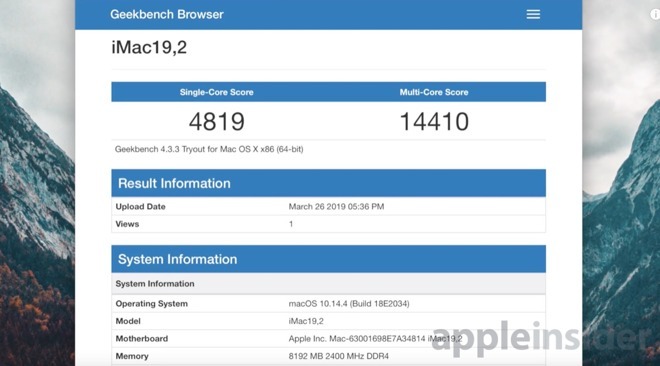 Primate Labs has posted benchmarks for the new iMac 2019. Please note that not all benchmark results of the 2019 iMacs were included. 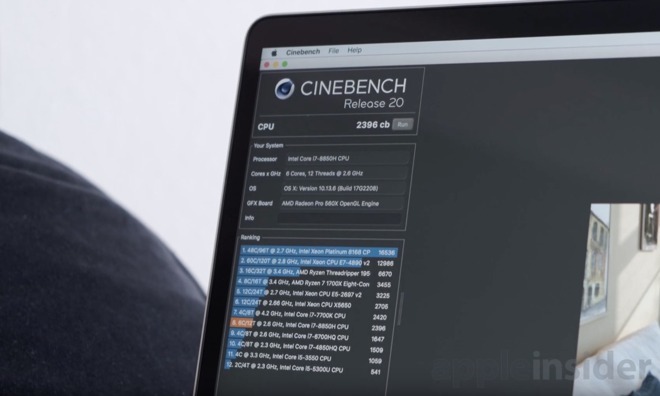 One of them is the benchmarks for the 21.5-inch iMac with an i7 processor. Perhaps in the upcoming days, the benchmark results for the other remaining 2019 iMac models will be released as suggested by reports. As you can see from these benchmark results, the 2019 iMac models are quite impressive compared to the previous iMac models. But there’s more to that. For the next section, it will be compared to the 2017 iMac Pro models. What are your thoughts about the iMac 2019 models? What can you say about its benchmarks results? Tell us in the comment section below.